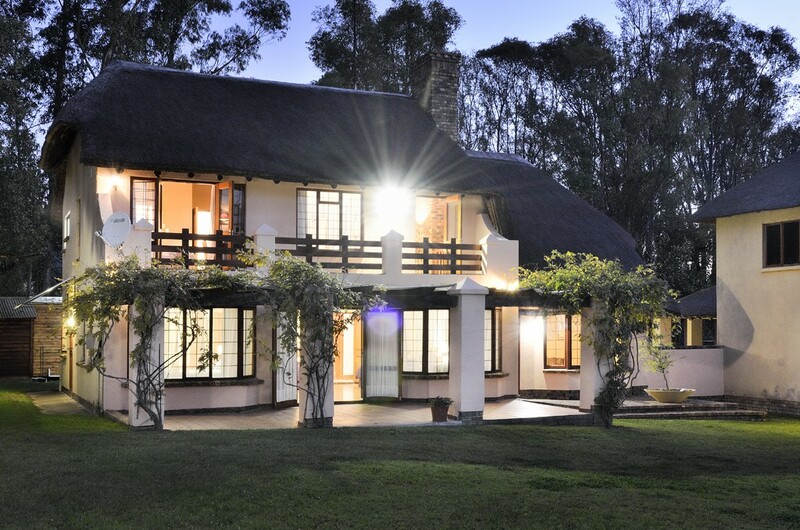 The Cottage Guesthouse is a thatch cottage which offers 5 beautiful, comfortable rooms for your stay in Midrand, Gauteng. It is a family business and you will be treated with personal and special attention. Whether you are on a visit to Gauteng as a vacationer, on a business trip or doing a training course, your stay will be comfortable as well as memorable. Suitable for students. A Conference Centre is also available on the premises. A full breakfast is included and dinner can be booked. You can choose between the Golden Room, upstairs with a beautiful view over the large garden, en suite bathroom, walk in cupboard and balcony. The Periwinkle room is upstairs with a beautiful view over the large garden, private shower room, double bed and desk. The beautiful and spacious Turquoise room with a separate entrance, en suite shower room, walk in cupboard with kitchenette gives room for 3 people sharing with a double bed as well as ¾ bed. The Purple room with private entrance is an ideal family room or sharing room with a double bed and 2 X ¾ beds with an en suite shower room. The Emerald room is part of a flatlet on the premises and only available to ladies. It has a double bed, en suite shower room, spacious cupboards. Glen Austin is a suburb of Johannesburg, South Africa and situated halfway between Pretoria and Johannesburg. The city is relatively modern, having experienced much growth in the last decade. A selection of restaurants in the area as well as Spa’s and other entertainment in the area of Midrand City Centre and Glen Austin. All of this only 30 min from OR Tambo Int Airport, 5 min from Grand Central Airport and 8 Min from the Midrand Gautrain Station. Easy access to all main roads and highways.